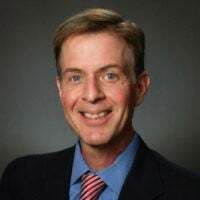 Timothy Goeglein is vice president of government and external relations at Focus on the Family in Washington, D.C.
One hundred years ago today, April 6, 1917, the United States entered World War I. The Great War’s centennial is especially poignant because of the massive sacrifice America made in both blood and treasure, mostly forgotten and faded now as so much mist over the ocean. More than 53,000 Americans lost their lives on the battlefields in that horrific European conflagration. Disease alone added another 60,000 wartime deaths. More than 204,000 others were wounded, many of them maimed with terrible disfigurements. Some 15 million people lost their lives in World War I. The late entry of the United States into the war—it had been raging since 1914—was a major inflection point in 20th-century history. While America’s involvement in the war indisputably assured the Allied victory over Imperial Germany by November 1918, it left a road of ruination, blood, and destruction that even today is difficult to internalize. Not only did those bloody battlefields soak up American lives en masse, but also they reminded a restive America that President Woodrow Wilson, who had been first elected in 1912, was not infallible. Despite an almost obsessive zeal, Wilson was unable to gain passage in the United States Senate of the Treaty of Versailles even as he was being lionized across Europe as a colossus of victory. That failure in the Senate prevented the United States from entering the League of Nations, which the president viewed as his own legacy of international diplomacy and a fitting close to the war. Wilson said he wanted “peace without victory,” and just as the war came to its close that November, congressional elections were underway. The president appealed to the American people to support his global efforts and to return a Democratic Congress to the Hill. Republicans made up the new majority in both houses and Wilson soon found himself eager to lead with few willing to follow. Despite his dour congressional prospects, and against the best counsel of his closest advisers, Wilson traveled to the interminable Paris peace conference anyway, taking with him not a single Republican. Everywhere he went he was the subject of standing ovations and sizeable crowds, an utter disjunction from how he was viewed at home. That discordant gap between military victory abroad and political despair at home was palpable. 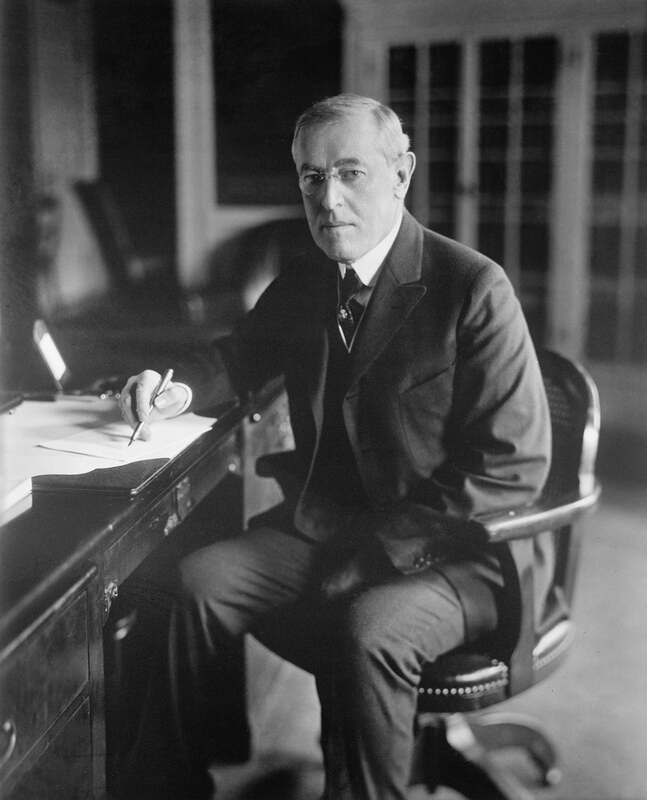 Wilson returned to Washington and lobbied hard for the Versailles Treaty, which contained his vaunted idea of a League of Nations. Almost all aspects of the treaty reflecting what became known as “Wilsonism” were eviscerated and the Senate twice rejected the act that would have formally ratified the treaty. Just two days after his powerful speech to a joint session of Congress, in the early morning hours of Good Friday, 1917, the House of Representatives passed the resolution 373 to 50. Wilson signed the resolution, which would direct 50,000 Americans to their demise. Wilson had supreme confidence that America needed to get into the European conflict and leverage the country’s strength to bring it all to a decisive and victorious close. The United States’ population had reached 100 million people, much larger than any nation in Europe with the exception of Russia, which had surpassed 170 million. Just as America entered the war, the Russians withdrew amid revolution and revolt. While the overwhelming majority of the American people believed that European wars were not the business of America, the United States retained its right to trade with any nation at war. But when Germany violated the neutrality of Belgium and propelled itself into unrestricted submarine warfare, it was broadly viewed as a violation of international law. In March 1917, Wilson was inaugurated for a second term, and less than a month later, he came to Capitol Hill on a drizzly night asking for the war resolution. He said, in essence, the war had already come to America because of Germany’s intransigence. On June 26, 1917, the 1st Division landed on French soil and began fighting four months later on Oct. 23, 1917. Maj. Gen. John “Black Jack” Pershing had been named the commander in chief of the now-famous American Expeditionary Forces in May. 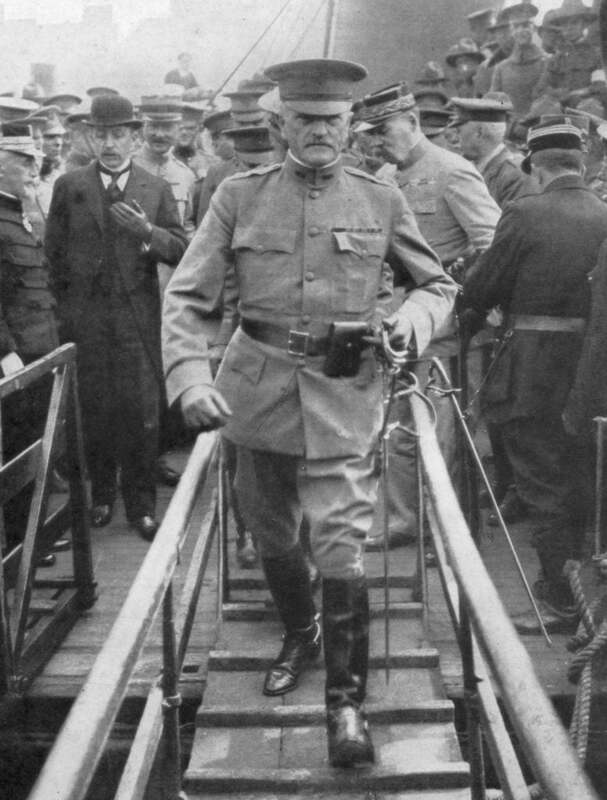 Pershing issued a stark and stunning challenge: that America should have 1 million men in France no later than May 1918, and that the American Expeditionary Forces should grow as large at 4 million troops. Wilson strongly supported a draft, and by the end of the war, nearly 5 million men had been taken into the service under the Selective Service Act. All told, there were 93 American combat divisions, 42 of which ultimately reached Europe; 30 actually saw combat there. They were known as the doughboys. One of the most important benchmarks was reached in August 1918, when plans were firmly in place to use the American First Army as a single unit. This was important because, until that time, American troops were essentially used to fill yawning gaps when Allied armies broke down or were decimated as the Germans advanced. The most important and famous battles of World War I with American participation soon followed: Cantigny in May of 2018; Chateau-Thierry shortly thereafter; and Belleau Wood, which raged across the entire month of June, rapidly becoming a household name everywhere in the country. The Marine Brigade and the Army regiments of the 2nd Division made among the most heroic stands of the entire war. By September, Pershing made the strategically important decision to use the American First Army as a single unit in a major offensive. 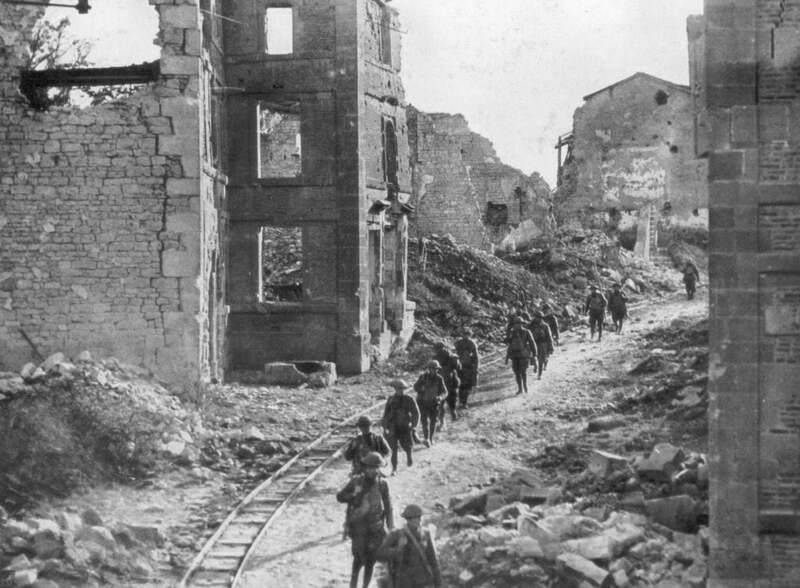 Supported by French artillery, the Americans took Saint-Mihiel from the Germans who had held that salient since their very first drive into France four years earlier in 1914. What followed was the Battle of the Meuse-Argonne, commencing in late September and lasting until Nov. 11, 1918. In those 47 days of fierce fighting, 29 American combat divisions had been used, pressing hard against the entire length of the German line from Verdun all the way to the English Channel. It was a stellar American effort in which more than 1,200,000 Americans took part. Not only was the human toll astonishing, but so was the financial cost. 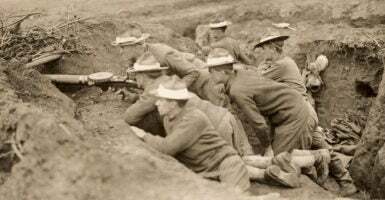 The American government allocated more money for World War I than it had for all government expenses combined from the 1790s until 1914. At 11 a.m. on the 11th day of the 11th month of 1918, the Great War ended. The American air ace Eddie Rickenbacker flew his Spad over the American lines to see what was happening. Fifty years later, he recalled the silence was deafening and of a sudden. What the historian Barbara Tuchman called “the guns of August” had gone silent. Armistice Day was considered a near-holy day for much of the 20th century with a flourish of parades and tolling of church bells. It was considered a near-religious duty to decorate the graves of veterans. The historian Paul Fussell observed that the Great War “reversed the idea of progress.” An entire generation of men were irrevocably lost. This centennial underscores that fraught relationship. Wilson and the Great War into which he led America are indelibly and ineluctably linked in time and memory. “Never such innocence again,” wrote the poet Philip Larkin. In 1913, Wilson told a friend from Princeton that it would be a real irony if his administration had to deal in any significant manner with foreign affairs. But during the Wilson presidency, the Great War had in part propelled and codified the upward trajectory of the United States of America as the most powerful and dominant nation in the world. This is why the centennial we mark today matters. An excerpted version of this article appears in The Washington Times.